Some exotic pets, like hedgehogs and tarantulas, have become unique, lovable members of many American families, but that doesn’t mean that all wildlife make great pets. Thousands of Americans risk their lives and the safety of their community by adopting dangerous, exotic pets like: alligators, bears, buffalos, deer, lions, primates, tigers, wolves and deadly snakes and lizards. Exotic pets have put hundreds of lives in danger over the past two decades alone. According to Born Free USA, over 1,900 exotic animal incidents and attacks have occurred between 1990-2013. And in that time 80 people have died. Animal attacks aren’t the only things these owners should be wary of. 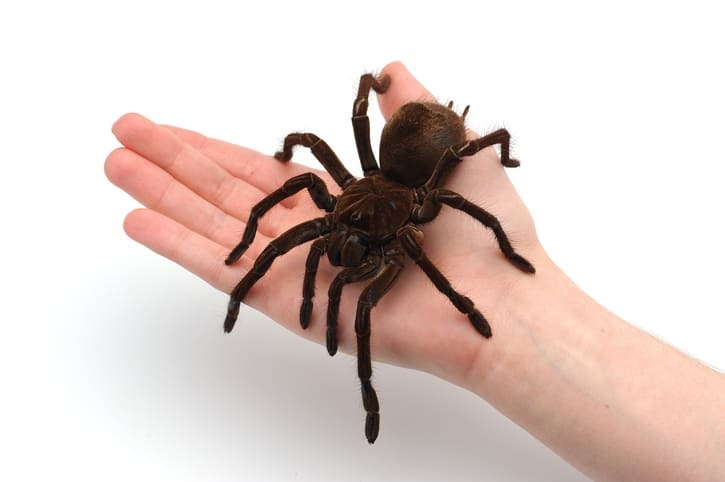 These exotic “pets” can also transmit diseases like chlamydia, herpes B, rabies, and tuberculosis. Ninety percent of reptiles can transmit salmonella and some primates can transmit monkey pox. Since these animals were never meant to be domesticated, these exotic “pets” often suffer the most. Owners normally acquire these animals when they’re young. When they grow up and get out of the owners’ control, these exotic “pets” are usually abandoned. Or they are chained and caged into submission, causing the animals stress and trauma. They also have specific dietary needs that are hardly met and rarely do they get adequate medical treatment. Owning exotic pets endangers the community too. In 2009, Sandra Herold’s 200-pound chimpanzee mauled the face and hands of her friend, Charla Nash. In 2011, a family’s pet python strangled their two-year-old daughter in her crib. Also in 2011, an Ohioan wildlife enthusiast purposely endangered the lives of the 25,000 people in his town when he released “18 tigers, 17 lions, eight bears, a baboon, and seven bobcats,” from their cages before committing suicide. So, why after all these attacks and cases of animal cruelty does this exotic pet trend continue? Money. The “trade in exotic animals is a $15 billion industry.” People make a high profit by raising and selling exotic and sometimes even endangered animals. Some animals are raised in the backyards of some neighborhood homes while others are captured them from their natural habitat. Fortunately, there are ways to put an end to this negligence and animal cruelty. To learn more consider researching organizations like Born Free USA, a non-profit that strives to protect and rescue wildlife. Or check out documentaries and television specials like National Geographic’s Animal Intervention, in which a team encourages exotic animal owners to hand over their pets to professionals or the Animal Planet’s Fatal Attractions, a cautionary documentary series of exotic pet ownership.